Fosta-Tek Optics is a worldwide leader in the design and manufacturer of high quality polymer components for optics and lenses. Nowhere else in North America can an OEM find the range of capabilities offered by our team of 80 in Leominster, Massachusetts. With our products 100% domestic content and Berry-compliant, we are the rare small U.S. manufacturer that is having success despite the recent economic headwinds and global sourcing opportunities. We look forward to demonstrating how our polymer know-how and capabilities can provide a winning and world-class solution for your optical project needs. Leominster's Fosta-Tek Optics Positioning Itself for Greater Manufacturing Success. 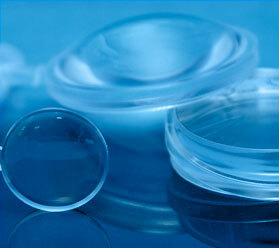 New Fosta-Tek Hardcoat Chemistry for Lenses and Eyewear Resists Fog and Abrasion. North Leominster Realty LLC Purchases Former Foster Grant Sunglass Building. Fosta-Tek Optic Expands Its Molding Capability for Micro-Optics.